Typically, accidents involving law enforcement are civilians colliding with patrol cars. It is rare that patrol units come into collision with each other. In either case, any accident with a law enforcement vehicles is to be handled as a matter against the city or county, an entity, and not necessarily the individual officer. This is because, while operating the entity vehicle the officer is acting in his capacity as a representative of the municipality. His or her department, and therefore city or county, is responsible for sending its officers onto the road with the training to be safe. When a collision occurs in a department vehicle, the automatic interpretation is that the entity did not either 1) properly train the employee who caused the accident, or 2) properly maintain the entity vehicle. A civilian or officer has a lawsuit against the entity in law enforcement car accidents. The civilian would allege that the entity improperly trained the officer. The officer would allege that the vehicle was improperly maintained causing him or her harm. In the case of the Boston Police collision above, one officer could allege that the other officer did not receive proper training in operating the entity vehicle and therefore harm occurred. 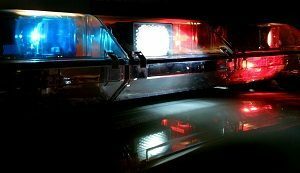 If you or a loved one has been involved in a law enforcement car accident, please contact the Law Offices of Jeffrey S. Glassman with your story. Entity lawsuits are unique, and must be handled appropriately by knowledgeable attorneys like ourselves. Call us today at (617) 367-2900.